Leading Manufacturer of agriplast mulch black & silver zero transmission, agriplast mulch black silver zero transmission, ginegar black and silver embossed mulch film, agriplast mulch black and white zero transmission film delux, agriplast mulch black and silver film 1m popular and agriplast mulch black white zero transmission delux from Hosur. We offer Agriplast Mulch Black & Silver Zero Transmission to our clients. We offer Agriplast Mulch Black Silver Zero Transmission to our clients. We offer Ginegar Black and Silver Embossed Mulch Film to our clients. We offer Agriplast Mulch Black and White Zero Transmission Film Delux to our clients. Apply Farm yard manure (10MT/acre) and basal dose of 100 Kg DAP and 10:26:26 + MgSO4@ 50Kg per acre. Mix the FYM thoroughly i soil with the help of rotavator. Before installation, make sure that the bed is flat and remove the previous plant materials like branches, stem etc which can damage the mulch. Also remove the stones in the soil before laying the much. Install the mulch film by stretching evenly on the beds either manually or mechanically such that the mulch sttles well on the bed. make sure that the height of the bed is good enough for mulch film to be stretched properly. Cover the corners of the mulch film ( upto 20 cm from both mulch ends) along the bed lenght in soil. 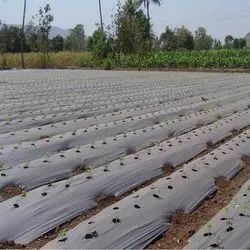 In summer months, white-on-black mulch is recommended and for winter months, silver - on - black mulch is recommended to regulate the soil bed temperature for optimum performance of the plants. 30 micron mulch is recommended for use over 1 Year. In case of usage for upto 20 small duration crops or uptt 1 Year. 25 micron mulch is recommended. We offer Agriplast Mulch Black White Zero Transmission Delux to our clients. We offer 80 Microns Black and white Rose Mulch to our clients. We offer Agriplast Mulch Black and Silver Zero Transmission Delux to our clients. We offer Agriplast Mulch Black and White Zero Transmission to our clients. 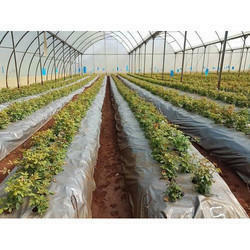 Is Israel's largest developer and producer of cover films for agricultural applications. 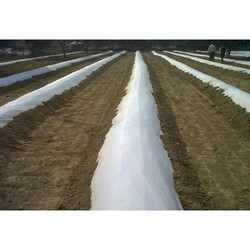 Ginger's agricultural cover films rank among the leading cover products for greenhouses, and for soil protection and disinfection. The unique mechanical, optical and thermal characteristics of ginegar's cover films ensure greater durability, excellent resistance to hostile weather conditions, controlled light penetration, better dust resistance and reduced pest activity. The expert agronomists of ginegar's research department can provide support and solutions for all types of crops, in any climate conditions. Ginegar exports its products to 60 countries around the world. 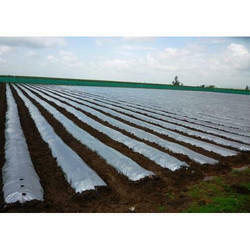 Mulch more films are advanced multi-layer mulch films, produced to meet a wide range of specifications. Mulch more films are available in several versions - from super-thin polydak to dual-color films - for use with specific crops and growing applicatins. All mulch more films are available either embossed (cast) or smooth (blown), in a wide range ofthickness and widths. At Ginegar, we cmpoly two productionmethods for creating our high quality mulches: multi-layer blown filmm co-extrusion, and cast )flat die) extrusion. Each method provides unique benefits. Blown filmextrusionallows for production of a wide range of dimensions and widths whild creating a plastic filmthat is strong along both the lenght and width of the sheet. The cast production method involves embossing while the material is hot, thereby changing the surface of the sheeting and endowing it with greater flexibility. softness and strength. 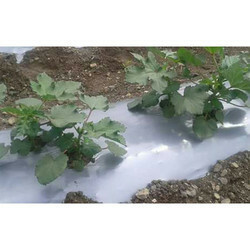 This allows better adherence of the sheeting to the groud surface, and is particularly suitable for crops grown on raised beds. Intergrated pest management (IPM): Reflectant mulch more products such as silver or yellow reduce the incidence of insects and insect vectored viral diseases. Water conservation: Mulch more films reduce water loss due to evaporation from the soil surface and maintain humidity in the root zone. Weed control: Opaque mulch more filmsreduce germination and growth. clear Polydak burns off weeds by solariztion. Temperature Control: The appropriate mulch more product adjusts light and heat conditions and provides the optimal root-zone temperature. 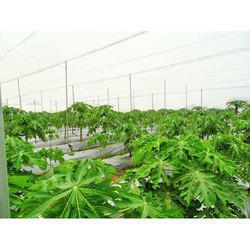 Low tunnel - films for low tunnels covering in wide variety of characteriztions. bi-color- two sides films in a wide variety of versions (black/silver, back/white, yellow/brown). Mulch more Films are available in the following lay flat widths: Embossed Up to 2.18 meters (86") Wide. Non-embossed - up to 2.30 meters (90") wide. All films above are available embossed or non-embossed. Films can be pre- punched with 50 mm planting holes or perforated for drainage. This product is good for raised beds. 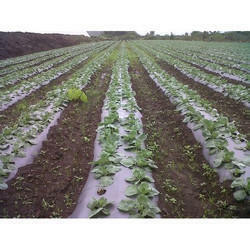 It is a combination of the advantages of the clear and of the black mulch. The clear is installed on the top, which keeps the temperature and saves water. The black is installed on the sides of the bed and therfore prevents the weeds. We offer White Zero Transmission Agriplast Mulch popular to our clients. We offer Orchard Mulch to our clients. 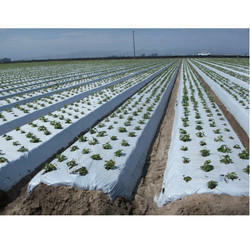 Looking for Mulching Film Zero Transmission Premium Quality ?